Mini Final Drives Home > Blog > Construction Industry Outlook: Caterpillar Inc. The construction sector is an integral part of life across all areas of the world. Thanks to some excellent innovations within the industry, the machinery that is used to accomplish various construction projects has drastically helped this important industry survive. 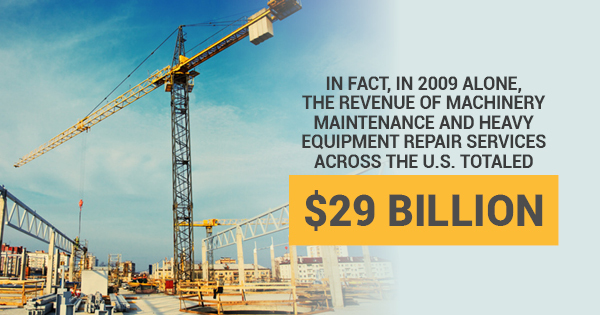 In fact, in 2009 alone, the revenue of machinery maintenance and heavy equipment repair services across the U.S. totaled $29 billion. One of the most popular and prestigious companies within the construction machinery and equipment sector has been Caterpillar Inc.
Caterpillar designs, engineers, develops, manufactures, markets, and sells machinery, engines and motors, as well as financial products and insurance policies to construction customers across not just the U.S., but the entire globe. Founded in California during the 1920s, this outstanding organization will be celebrating its 100th anniversary in seven short years. Though the customer service, sales, and operations departments have significantly contributed to the company's success over the years, the main reason Caterpillar remains atop this complicated global market today can be attributed to one thing and one thing alone: their top-of-the-line machinery. When it comes to construction, agricultural, and industrial machinery, the trademark Caterpillar Yellow is now synonymous with high performance. Many Caterpillar machines use travel motors that are essential for machines such as excavators in order to not only operate, but operate at a high-quality level. Whether a construction establishment is in need of replacement travel motors for mini excavators or are hoping to acquire new final drive motors, it's essential to work with another established organization that can provide them with top-of-the-line parts and equipment. Mini Final Drives has been offering customers within the construction sector heavy machinery parts for over 50 years. From providing a single final drive motor for a Caterpillar to offering all kinds of other brands, we can offer fast and free shipping, equipped with a Lifetime Replacement program. If you want to learn more about final drive motors or find a great final drive motor for a Caterpillar, call us today at 877-483-2806 or visit our online store at www.minifinaldrives.com.